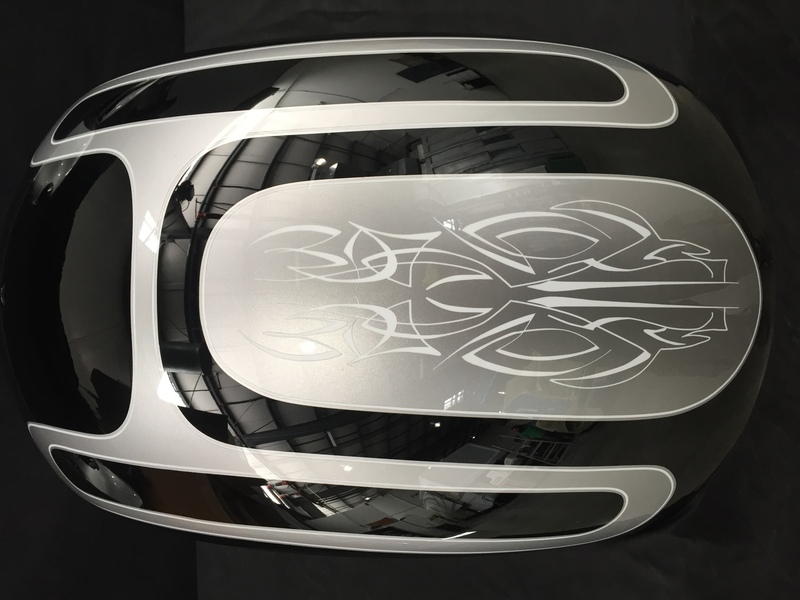 This sleek silver flake and black design combines a custom look that is entirely unique to this rider and his bike. 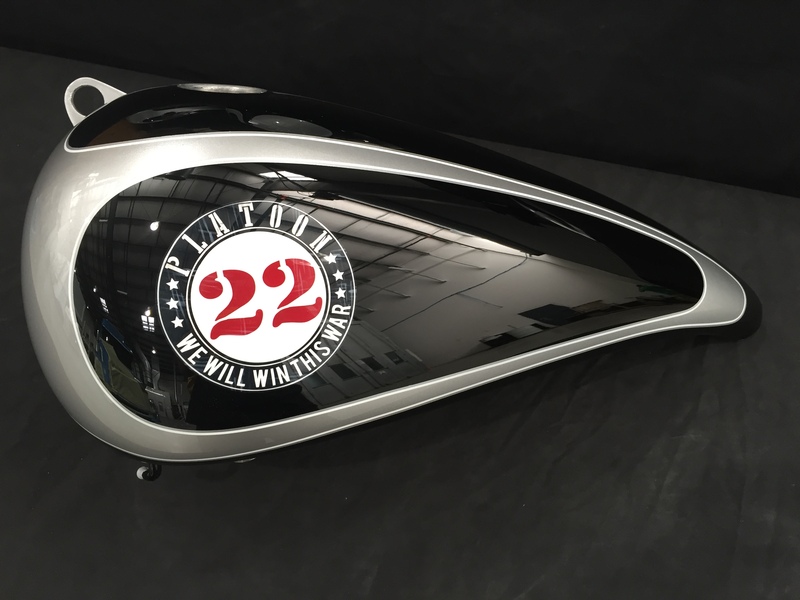 With a designed logo to read "Platoon 22 We Will Win This War", the Big Chopper's design goes without faults. 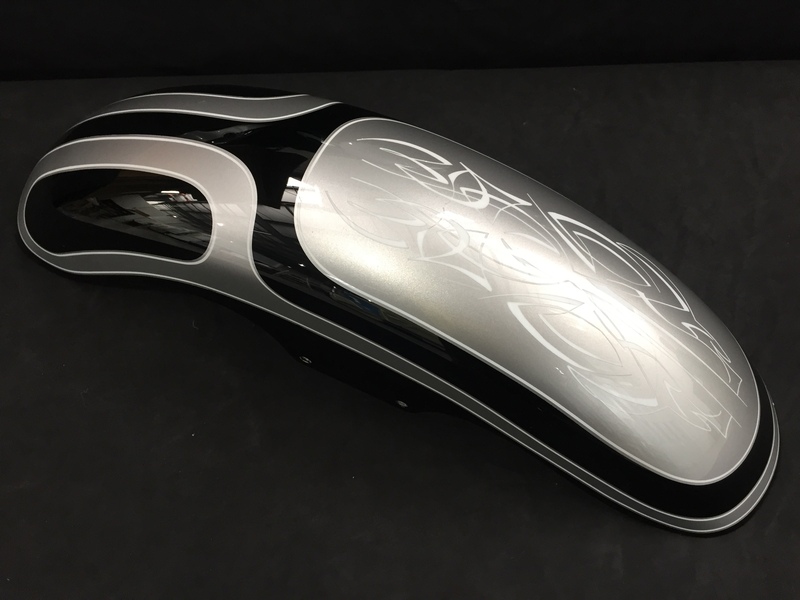 The Big Chopper also utilizes and showcases Cutting Edge artist's work with smooth stipes paralleled with jagged designs on the fenders and tank. 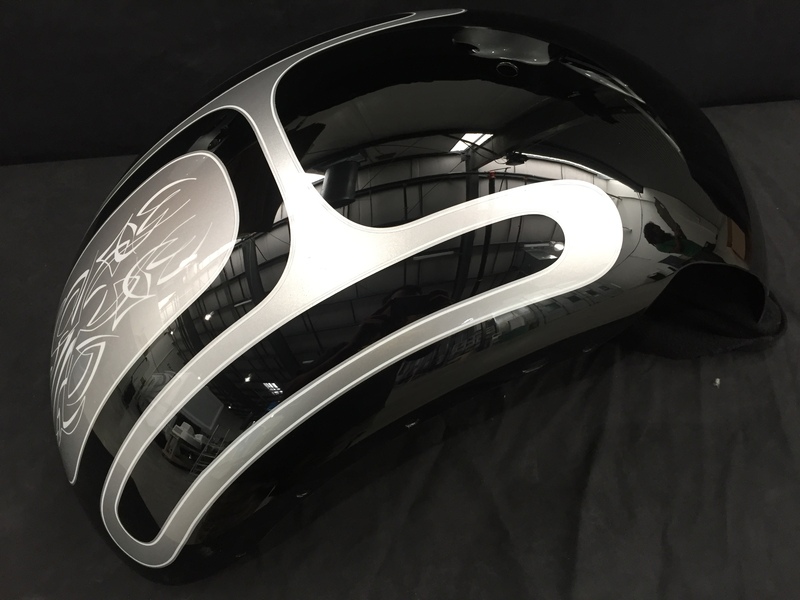 This clean show finish is enough to wow anyone in sight.